Resume Buzzwords: What's Bad And What's Good? Resumes can be tough and tedious to write, especially if you’re not used to selling yourself. They’re a space in which you have to tell potential employers how great you are and why you’re the best person for the job. Most of us are pretty uncomfortable doing that. Buzzwords offer us an easy out here. These set words and phrases seem to tick all the boxes, telling the employer what they want to hear. The problem is that they’re often hollow and end up doing the opposite. If not backed up by anything concrete, it can appear that your buzzwords are being used to mask incompetence. They tend to be words or phrases that anyone can say, and for that reason, are seen as meaningless. This article will act as a guide to help you write the best resume you can by identifying and eliminating buzzwords that don't have any substance. If you know what buzzwords are, why we use them and how to avoid the worst offenders, your resume will be improved drastically. 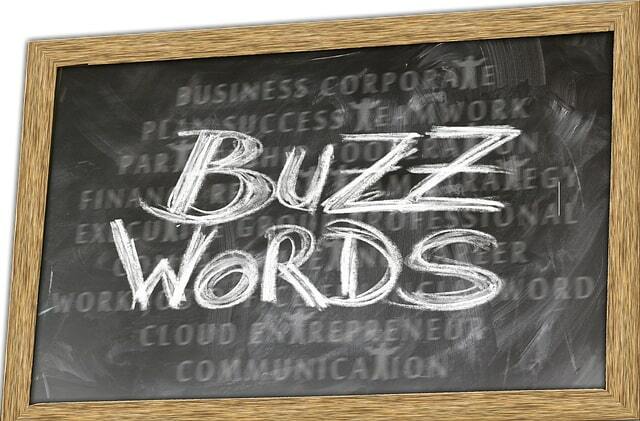 The phrase ‘buzzword’ is often thrown around without much thought – ironically, like a buzzword. A cynical way of describing a buzzword is as a term or phrase that's currently fashionable or deemed impressive, but which rings a little hollow. Ever heard a term that you hear all the time but no one seems to know what it really means? That’s a buzzword. A more generous way of thinking about buzzwords is as keywords. When reading an application, the employer will be looking for particular words and phrases, and sometimes these are considered buzzwords. The truth is probably somewhere between the two. Some so-called buzzwords are popular because they’re useful and refer to something fundamental. Some are empty phrases that people throw around because they can’t quite put what they mean into more definite terms. Simply put, people use buzzwords on resumes because they’re shortcuts. It’s not always wrong to use shortcuts – buzzwords are fine when appropriate – but they are often employed when someone is struggling to put a particular trait into words. And because they’re often short and catchy phrases , it can be tough to get them out of your head. For example, if you’re wondering how to describe your tendency to approach problems in a different way, the phrase ‘thinking outside the box’ may well come to mind. Writing a resume is difficult. Buzzwords help us to skip over the tricky parts. They give us something to say without us needing to think too deeply about it. And that’s why they’re a dangerous trap. The first thing to do is to be aware of what the bad buzzwords are. The ones which mean little to nothing and make employers groan when they read them for the thousandth time. Everyone these days is ‘passionate’ about things. ‘Passionate’ about delivering good customer service, about generating value for the company, about working with technology. Whatever the job requires, a candidate can say they’re ‘passionate’ about it. Everyone also seems to be ‘motivated’ to do all of the above. Or they’re a ‘hard-working’, ‘results-driven’, ‘detail-oriented’, ‘creative thinker’ who is an excellent ‘team player’. And that’s the main point here. Anyone can say it. It’s not something that can be easily proven. But aren’t these good traits? They are, and employers look for evidence of them. But writing that they apply to you does not make it so. The issue is that writing it is easy, proving it is harder. It means nothing to say you’re ‘passionate’. Instead, show that through examples and experience. Let those speak to your passion, rather than saying it directly. These buzzwords are all terms that could be used to describe something else, whether that be your experiences, your approach, your demeanor or whatever it is. What that means is that the terms are empty without that something else. And if you have that something else – the years of experience, the projects that show your creativity, the references that speak to your motivation – then you don’t need the buzzword. The best way to avoid these buzzwords is to let your results, actions and experiences speak for themselves. The employer isn’t stupid. They will be able to see from your experience and other application materials that you are a ‘good team player’ or ‘passionate’ about something, etc. They don’t need you to tell them. But it’s very easy to fall into the trap nonetheless. It’s tempting to just write ‘I am a great team player’ rather than figure out a way to prove it. So, what steps can you take to avoid this? Pretend you’re a particularly harsh and cynical interviewer. Or, even better, get a friend to play this role. Now re-read your resume and note down every part of it that seems vague, unsubstantiated or meaningless. For example, if you’re reading your resume and you see a sentence that says, ‘I am a good team player’, then you would ask where the evidence for that is. As you go through your resume, make sure you’re being as specific as possible. Don’t say you were ‘responsible’ for a task, say what you actually did. Saying that you ‘managed’, ‘executed’ or ‘led a team’ leaves less room for ambiguity. Don’t say you’re an ‘expert’ in a particular topic, instead, say what you have published or achieved and it’ll be obvious you’re an expert without you needing to say it. Essentially, the two things to keep in mind to avoid using bad buzzwords in your resume are to be specific and to always use concrete examples to back up your points. This might seem like an oxymoron, but a useful buzzword is really a keyword. Employers may be reading hundreds of resumes, so, naturally, each one won’t get a thorough overview. Instead, employers will often scan for keywords. These are terms which relate to desirable traits, qualifications and achievements for the role, and allow them to keep a mental (or sometimes even physical) list of how many of those each candidate ticks off. This is where buzzwords come in handy. They make it easy for employers to scan your resume for the important points, instead of having to decode them first. It’s not going to win you any creative writing awards, but that’s not really the point of your resume. The best way to identify these good buzzwords is to take them from the job advert itself. 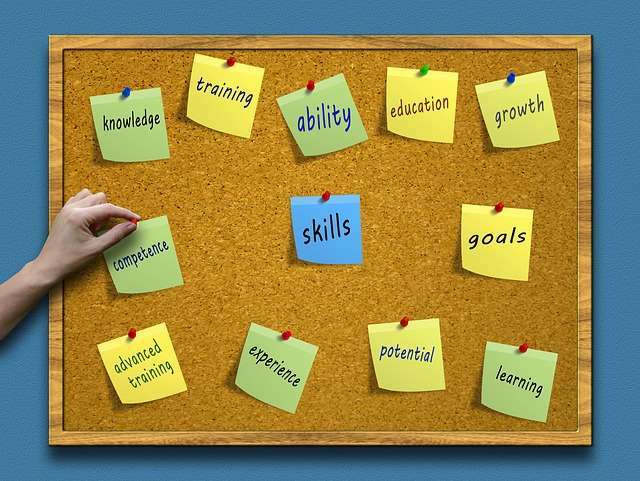 Mirror the terms and phrases that they use for the traits and qualifications they want. In fact, these ‘good buzzwords’ might actually be some of the same words we saw in the ‘bad buzzwords’ section. The difference is mostly in how you use them. For example, if a job advert states that the role demands a ‘team player’, then you should actually use that word. But, crucially, you should only use it directly before or after giving concrete examples. Don’t use an abstract term without immediately backing it up, showing exactly what you mean by it. The term ‘buzzword’ is a bit of a buzzword in itself. Even here we can see that sometimes the same words can be both good and bad buzzwords, depending on how they’re used. So, really, any word can be a buzzword – it’s more about how you use it. If you’re using abstract terms to imply skills and experiences that might not necessarily exist, it’s a buzzword. It’s a word that sounds nice, that you think employers want to hear. If you’re using your terms accurately, explaining what you mean by them and backing up anything abstract with something concrete, then you’re not using buzzwords. You’re writing a good resume. Let your achievements and experiences speak for themselves. A true expert doesn’t need to tell people they’re an expert. And this goes for many descriptive traits. Use the terms and phrases the employer uses. Read the job description carefully. Highlight the terms and phrases that identify what they want from the ideal candidate. When writing your resume, make sure you use these, and describe how and why you fit each of them (or as many as you can). Be concrete. The problem with buzzwords is that anyone can wheel them out. You can tackle this problem by backing up each term you use with examples and explaining what you mean by them.